Phone chargers are big, bulky, and often, completely forgettable. I can’t count the number of times I’ve left my house without my plug and cable, only for my phone to run out of juice halfway through the day. 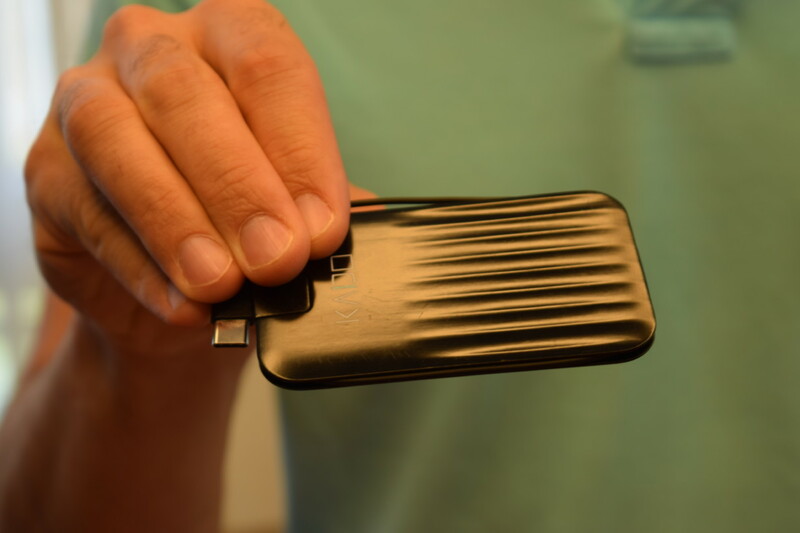 One potential solution to this all-too-common problem comes from Kado — a compelling Israeli startup that has figured out how to miniaturize a full phone charger into something as small as a credit card. I had the pleasure of seeing an early production-quality prototype earlier this month. What struck me was how impossibly thin it was. It occupied hardly any space in company co-founder Yariv Ganor’s wallet. There was no noticeable bulge. The power pins fold out of the Kado charger, and work with either US or EU plugs, while the 85cm cable wraps around the device, and comes in lightning, USB-C, and MicroUSB variants. Moreover, you can detach the cable, should you want to connect your phone or tablet with a computer. It also means that, should the cable break, you aren’t forced to replace the entire unit. 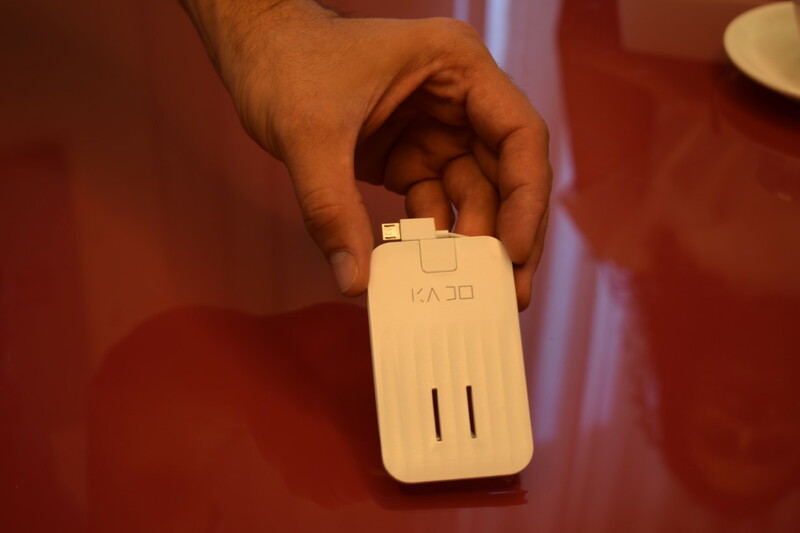 The inaugural Kado unit also comes with 2.1A rapid charging, allowing you to juice up your gear in double time. Kado has raised $1.2 million from Altair Capital to bring its vision to life, and is now selling units through Kickstarter. Backers can pick up a unit for just $35, which almost half the expected retail price of $59-69. Personally, I’m most excited about a wall charger that won’t absolutely destroy my foot, should I accidentally stand on it. But that’s just me.